Nothing is worse than looking forward to a good day’s work that never happens because of maintenance issues with the tools you depend on. 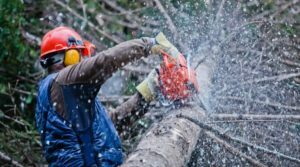 This is especially true when a job cannot be completed without the strength and power of a chainsaw, and despite the easy maintenance of such a product, they can eventually face their own set of problems. When you fire up your chainsaw you should be able to let it sit idle until you engage the clutch which drives the gears and sprockets to spin your chain. Occasionally a 2 -cycle engine will struggle to stay running and bog down, killing the engine, when not in use. 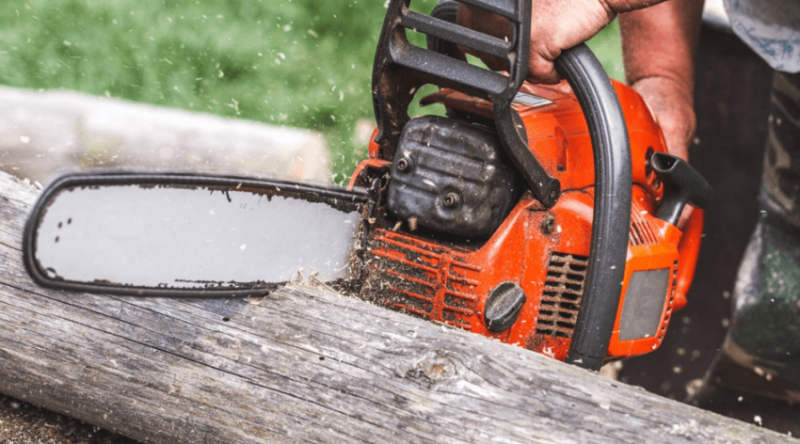 Below I’m going to address the steps you can take to address why your gas chainsaw won’t idle, and how you can get back up and running in no time. When you first start up your saw you engage the choke in order to provide fuel to the system. Once you get running you have to turn the choke back off in order for the engine to run correctly through the gears. 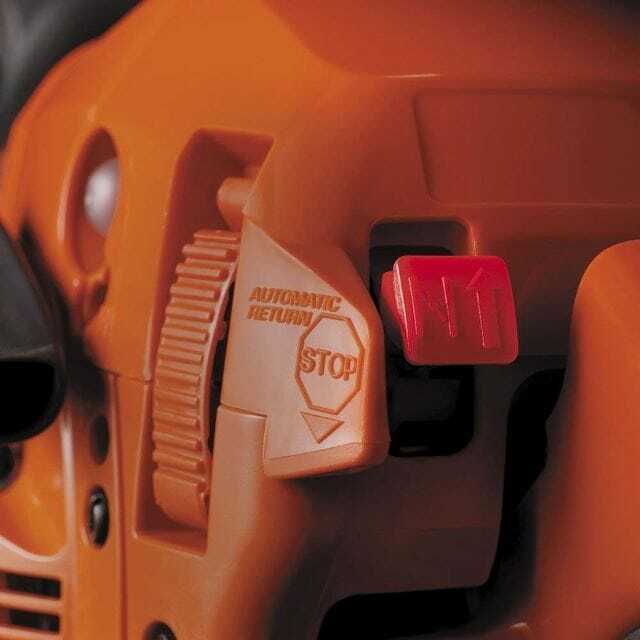 Occasionally saws that automatically disengage the choke doesn’t, or the operator forgets to turn it off- causing the engine to ‘choke’ and die. 2 cycle engines are air cooled and depend on outside air to run properly. 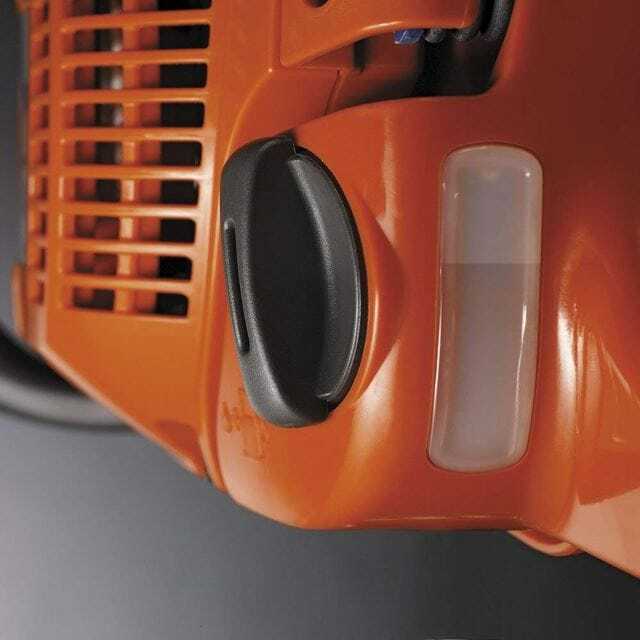 With the dust created thorough chainsaw use, the air filter can easily become compromised. Plus, combined with the oils you use to lubricate your saw mixed with dust, the filter can become completely clogged and keep air from flowing through the system. Air filters are easy to access and remove. You can easily blow it off with compressed air, or if needed, scrub with a little soap and water. Old gas that has sat in the tank can cause issues with your fuel line and filter, causing it to clog or gum up and will not idle the engine. Lower octane gas also includes higher ethanol levels which make it not stay as fresh as long and can be more corrosive to your seals. And sometimes the gas you get at the pump is simply a bad tank and has mixed with sediments from the bottom of the tank. 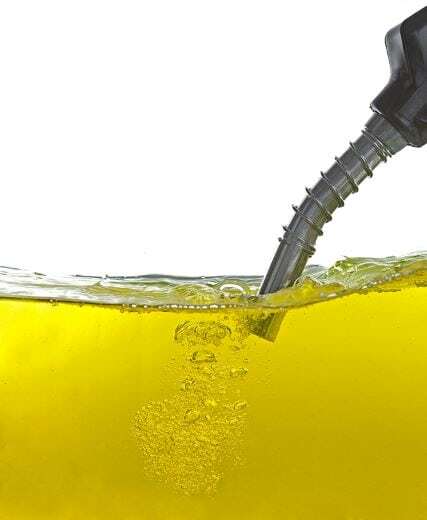 No matter the cause, you can easily remove what you have with a siphon and mix a new batch of fuel and oil. Try to use an octane of 89 or higher, premium if possible, to provide a longer lasting, cleaner burning fuel. If you know you have run a gas through your lines, or still have issues with a fresh tank of fuel, your fuel line or filter may be clogged. Both of these are easy to remove and clean, but their cost is so minimal if you have taken the steps to remove them, they are worth replacing while you are at it. 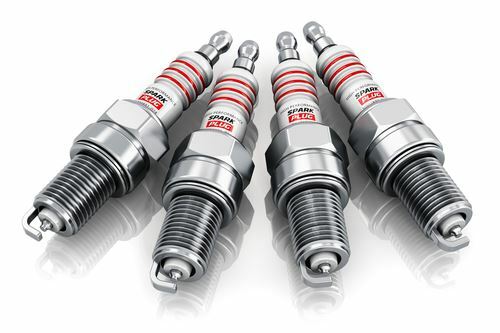 Bad gas can also foul your spark plug and cause it to gum up. Your spark plug ‘sparks’ with each turn of the piston, and when the plug gap is compromised, gummed up, or has become covered in carbon through use you should take it out and clean it up, or replace it. You should also check the gap of your plug as this can become compromised over time. It doesn’t hurt to keep an extra spark plug on hand as it is an inexpensive part that you cannot do without. 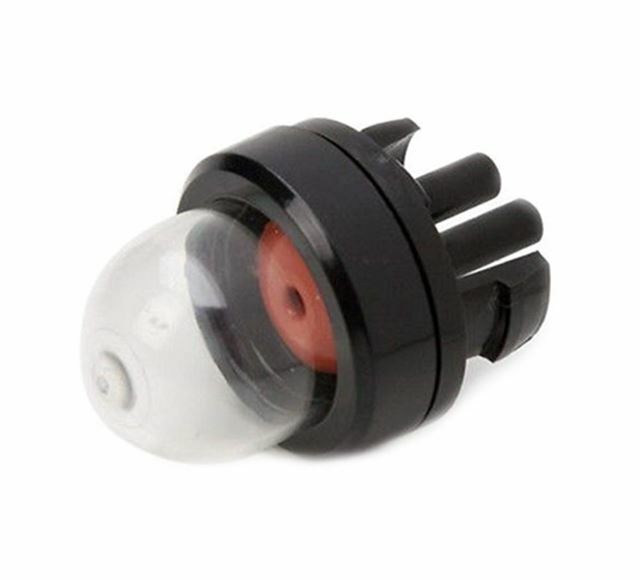 If your saw happens to have a primer bulb, then it can become gummed up with fuel and oil over time. It also can develop a bad seal or tiny cracks that allow air to escape. When this happens you do not get a good flow, and too much air is being mixed into the engine compartment for a proper idle. Idle ports, or screws, are adjusted to allow airflow into your engine (more on that below). Dirt, oils, and grime can easily block these small openings which cut all air off to the engine. This can cause it to run incorrectly, or even kill the engine when in use or at idle. High/Low carburetor adjustment and Idle screws allow the proper airflow through the engine. Most saws come already adjusted and need very little attention. However, from time to time you may need to adjust these screws to run your carburetor properly. 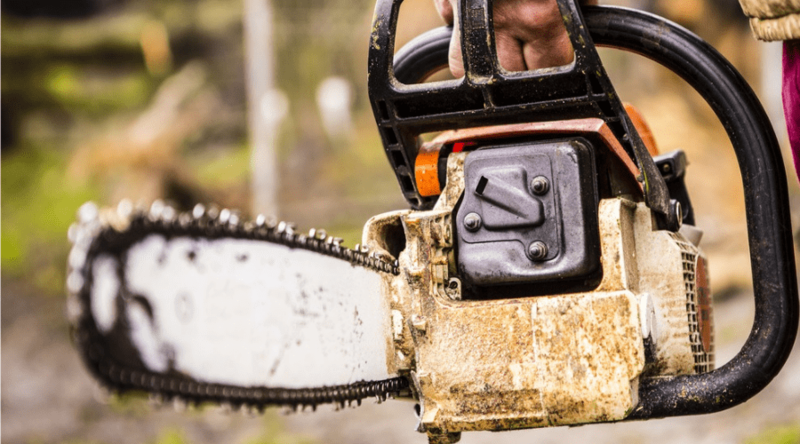 Chainsaws that receive too much air through the engine will run too rich, cause your saw to smoke, have poor power, kill your idle, and can even do damage to your engine. 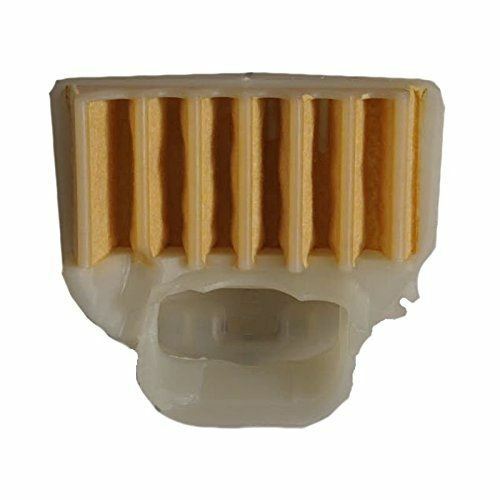 This can also cause a carbon buildup and can plug up various parts- creating even further problems. Lean running engines are when not enough air is allowed to run through the engine, creating weak power and rising internal temperatures- which can result in engine seizure. Most Chainsaws have 3 adjustment screws: an idle/throttle adjustment screw, a high-speed adjustment screw, and a low-speed adjustment screw. This is the control that determines how much the throttle valve stays open when the throttle trigger is released. When set to low the engine will die when the throttle is released. Set to high and idle speed will continue to run the chain- which can cause safety issues. The low-speed adjustment is typically marked with an L and is what controls how much air mixes with fuel when at idle. No matter whether you set this too high or too low- it will cause the engine to die at idle. 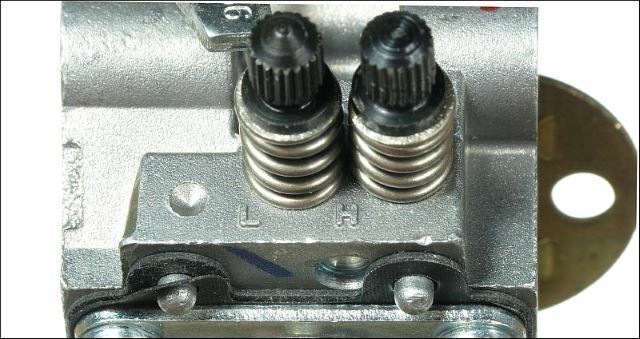 The high-speed adjustment is marked with an H and is the control to air and fuel rations when at cutting speed. When set at too rich a ratio, you saw will be unable to reach maximum RPM for power. Set too lean, and you can create a situation where bearing failure and seizing is possible. It also will run hot and lack power. To adjust these screws, care must be taken as their seats are delicate and you do not want to have them set in too tightly. To begin, screw them all in gently, and then back them out one turn each. Make sure you have cleaned your filters first and have at least a half tank of gas before starting up your saw. Once you start it let it idle for a few moments if it will, if not, warm it up by repeatedly squeezing and releasing the idle. First set the idle speed by setting it as high as possible without engaging the clutch (close to 2700 RPM if you have a tachometer). Then set the low-speed screw by turning it gently in until the engine begins to starve for fuel, then turn it out gently until the engine loads up. Fine tune this to somewhere between the two. Now you can go back and fine-tune the idle screw and work back and forth between the two until you get it exactly where you want it. With these two sets, you shouldn’t have to worry about the high-speed screw. 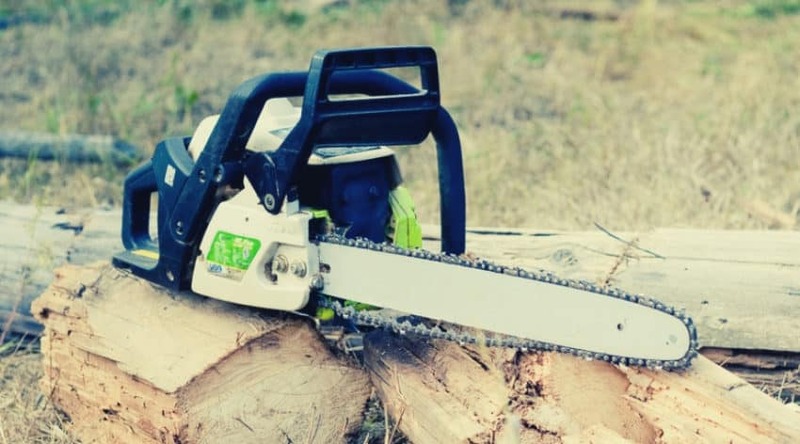 The simplicity of a 2 cycle engine makes it fairly easy to diagnose and solve the problems you may experience when working with your chainsaw. 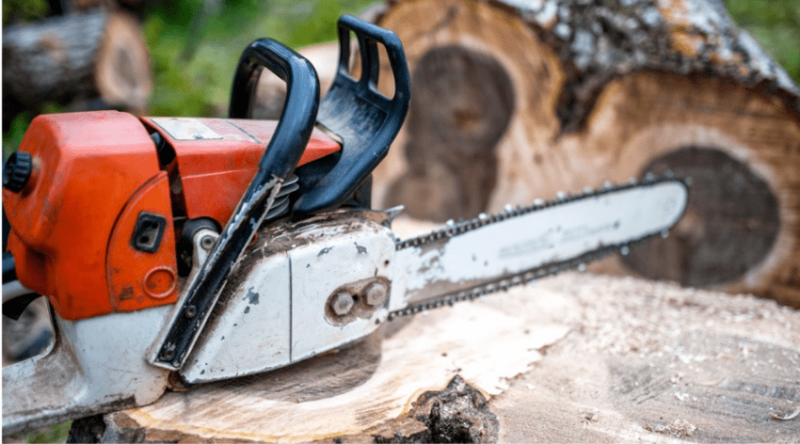 If your chainsaw dies when idle, there are some quick solutions that deal with the general maintenance of the saw you can first address to narrow down the issue. 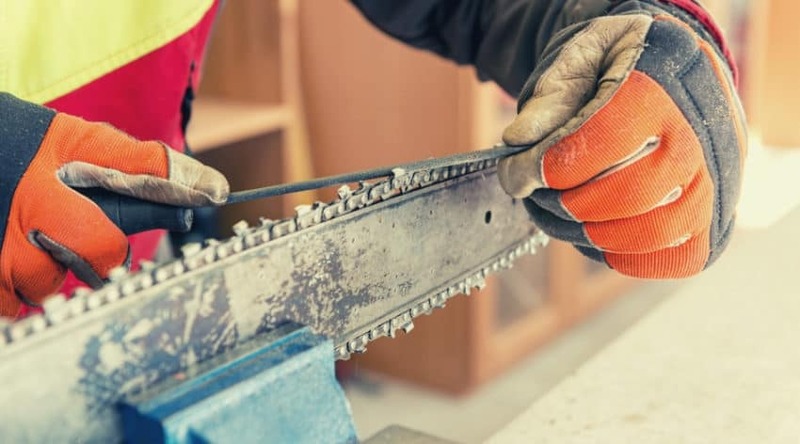 There are all good practices anyway to help keep your saw running as it should, and it never hurts to regularly check on them for cleaning purposes. If you feel you need to recalibrate the carburetor, the steps are simple enough as seen above, but it does require patience and a gentle touch. Just be sure to listen closely to the engine as you work, especially if you are not using a tachometer. If you have any questions or comments, we’d love to help you out below. And, as always, please share!